TORONTO, June 18, 2018 /CNW/ - Holt, Renfrew & Co. (Holt Renfrew), today announced the company is investing over $400 million to renovate and expand stores across Canada as it builds the world's leading curation of luxury apparel and beauty brands. Extending the innovative vision behind the nearly-complete transformation of Holt Renfrew Vancouver as a template, updates include Holt Renfrew Ogilvy in Montreal, with a phased opening through 2020, as well as significant renovations to Toronto's 50 Bloor Street West flagship store and a 10,000 square foot expansion at Toronto's Yorkdale location, both scheduled to be completed in 2020. Holt Renfrew is also making significant investments in new technologies that will improve and enhance customer interaction and support robust online capabilities. "As the Canadian luxury retail landscape evolves, so too is Holt Renfrew. These investments will help us to enhance the first-rate, luxury shopping experience our customers expect from Holt Renfrew. We're securing our position as a top global destination for luxury fashion and beauty products," said Mario Grauso, President, Holt Renfrew. "We're confident in our vision, strategy and team, with a renewed and unyielding focus on exclusive partnerships and curating the world's best luxury apparel and beauty brands." 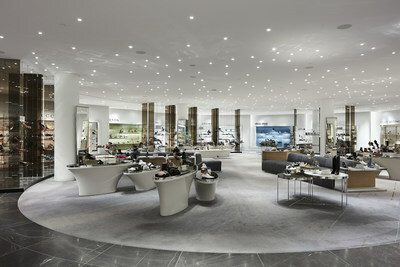 Designed by Janson Goldstein, the two-year, 40,000 square foot expansion of Holt Renfrew Vancouver is nearly complete. The store now includes a renovated women's footwear area that has tripled in size and an expanded beauty hall, personal shopping and men's department. Holt Renfrew Vancouver now has over 75 vendor shops from some of the world's leading luxury brands, including a CHANEL presence, Gucci, Fendi, Louis Vuitton, Dior, Tiffany & Co. and more. 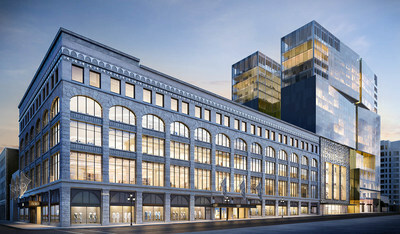 On St. Catherine's Street in Montreal, the phased enhancements and renovations to Holt Renfrew Ogilvy will expand the store to over 250,000 square feet, making it the largest Holt Renfrew in Canada. 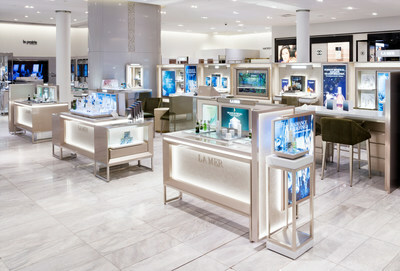 Designed by world-renowned interior designer Jeffrey Hutchison & Associates, with support from Lemay, a Montreal-based architectural firm, the store is adding an expanded beauty hall, leather goods shop and an enhanced women's footwear department. Holt Renfrew's Toronto flagship store at 50 Bloor Street West will be updated with an expanded and newly renovated women's footwear department opening as early as winter 2018. 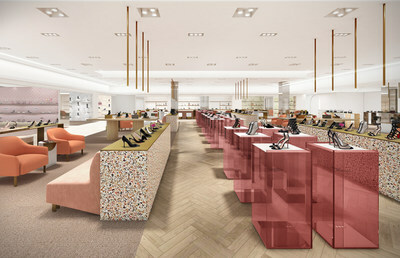 The flagship Toronto store will also include an expanded beauty department and women's leather goods area. Once complete, the store will also include an expanded men's department, repatriated from 100 Bloor Street West, which will grow by 55 percent compared to the stand-alone store and provide a more seamless shopping experience with an increased offering of the world's best brands. Customers will be able to enjoy a gourmet dining experience in a new Colette Grand Café, designed by Alex Cochrane Architects and slated to open late 2019. The renewal to 50 Bloor Street West is designed by award-winning creative agency Kramer Design Group and master architects Gensler. Holt Renfrew Yorkdale will grow by 10,000 square feet to 129,000 square feet. Customers will have the opportunity to enjoy an expanded personal shopping service with and additional two personal shopping suites and an expanded "world of" Gucci shop. Holt Renfrew Yorkdale will also feature a Fendi women's and leather goods shop, a Balenciaga shop and a new men's Prada shop, adding to the store's unique and exclusive offerings for men. 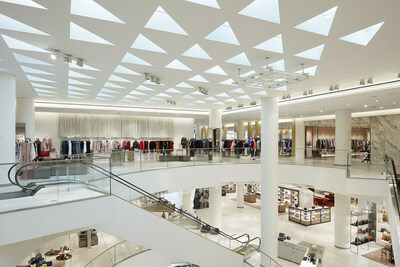 The interior of Holt Renfrew in Yorkdale has been designed by Kramer Design Group in partnership with master architect Gensler, responsible for the store's façade, expansion and renovation. The way people shop is also changing and, as it does, Holt Renfrew is changing the way it meets customers' needs. While bricks and mortar stores will always be the cornerstone of the business, Holt Renfrew is investing in new technologies that will increase and enhance the ways in which the company interacts with customers. Holt Renfrew is updating its entire online presence, including various categories being made available for purchase through ecommerce. These new technologies will be integrated into existing customer touch points, including the Holt Renfrew magazine. Celebrating an over 180-year heritage, Holt Renfrew is recognized worldwide for an inspired shopping experience. Founded in 1837 as a modest hat shop, Holt Renfrew would soon become a purveyor of fashion to Her Majesty Queen Victoria. In the 1930s, Holt Renfrew began to establish exclusive accounts with leading European designers, hosting Monsieur Christian Dior himself in 1947 as he launched his "New Look". After many years of foreign ownership Holt Renfrew was acquired in 1986 by W. Galen and the Hon. Hilary M. Weston. Under Weston ownership Holt Renfrew has become Canada's destination for luxury retail. Visit us at www.holtrenfrew.com.